David DeWolf lives at the intersection of business, technology, and leadership. After accidentally starting his company, 3Pillar Global, at the age of 26, David has grown the organization to nearly 1000 employees around the globe, hitting the Inc. 5000 list of fastest growing private companies for seven of the last eight years. 3Pillar Global builds customer-facing digital products for companies like Carfax, PBS, Equinox, National Geographic, and many other industry-leading clients. After a little more than a decade in business, 3Pillar and David have racked up dozens of awards, including SmartCEO Magazine’s Future 50, Washington DC’s 40 Under 40, and Virginia’s Fantastic 50. A board member and angel investor, David is a columnist for Fortune and Inc. Magazine. His insights on the digital economy, innovation, culture and company growth have been featured in Fast Company, Forbes, Inc., Entrepreneur, PandoDaily and ZDNet. Outsell DataMoney is the world’s premiere data monetization conference, where David provided the keynote address at the VIP dinner that launched the event. David’s presentation, titled “The Art of the Possible: Drilling for Value in the Data-Rich Economy,” drew upon the recent belief that data has usurped oil as the world’s most valuable resource. Watch the Outsell highlight reel to see David address how companies navigate this. David recently anchored a panel discussion titled “What to Do When You’re Not Raising” at the 1776 Challenge Cup Global Finals. The panel discussion was geared toward entrepreneurs and founders alike, and featured advice on how to raise the capital needed to build and maintain a business. The panel discussion, available fully in the accompanying video, provided mentorship for the startups that then competed in the Challenge Cup Finals the following day. After 10 years of growing 3Pillar Global from a product development company of 1 to a company of 900, David has amassed a wealth of tips and lessons learned. 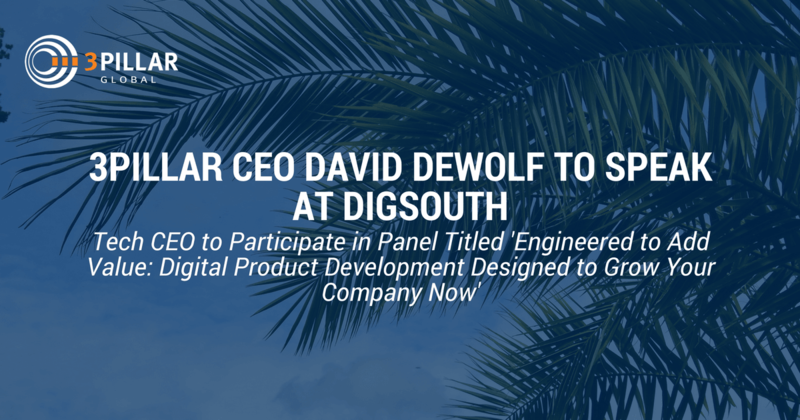 He will be sharing these and more insights on a panel discussion titled “Engineering to Add Value: Digital Product Development Designed to Grow Your Bottom Line” at the DigSouth Conference in April. He will also introduce a session centered on purpose-driven software design during the conference. After spending 3 days at CES in Las Vegas this year, David had a startling realization - there’s absolutely nothing special about connecting your device to the internet and collecting data from it. The Internet of Things is officially dead. 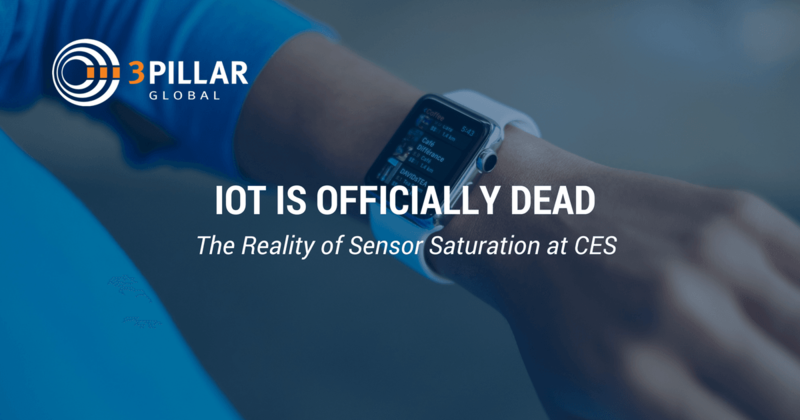 In his reflection from his time at CES, read David’s perspectives on the sensor saturation he saw permeating every industry and what it means for the business world. At the Product Matters event in Iasi, Romania earlier this year, David emphasized the importance of seeing software development through the lens of product. In his presentation, titled “Shift Your Mindset to Find Product Success,” he told the story of 3Pillar’s first client that helped him develop what he believes are the 3 key attributes any successful software product should have in common. Interested in having David DeWolf speak at your event?